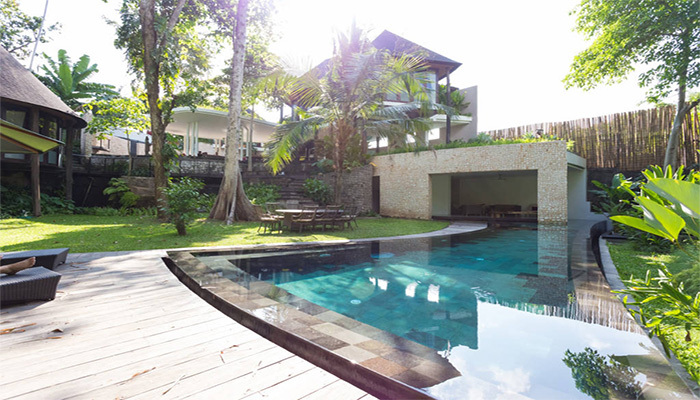 Built on 1 875 square meters, plunge yourselves in an authentic Bali atmosphere while entering this villa. 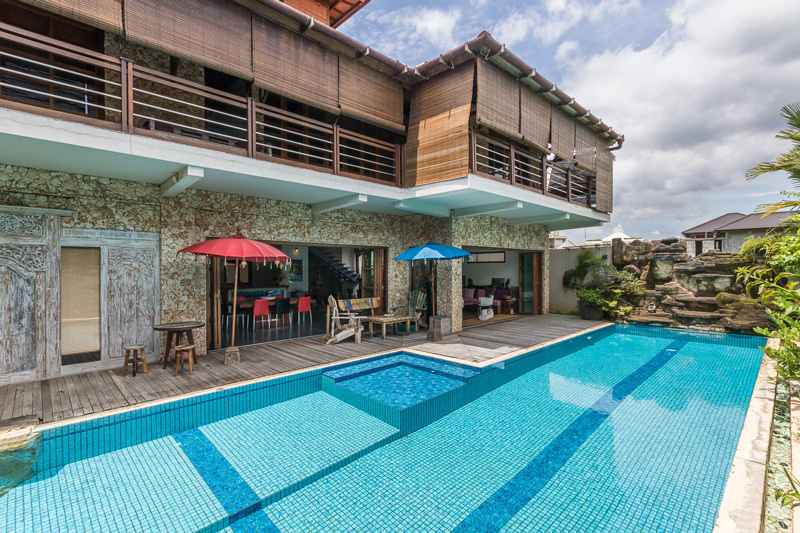 Located in a quiet area in Canggu, this house possesses three spacious bedrooms in the main house and one bedroom separated next to it. You will find as well a gorgeous gladak with one bedroom at the corner of the garden. All bedrooms are equipped with the air conditioning and the en suite bathrooms. 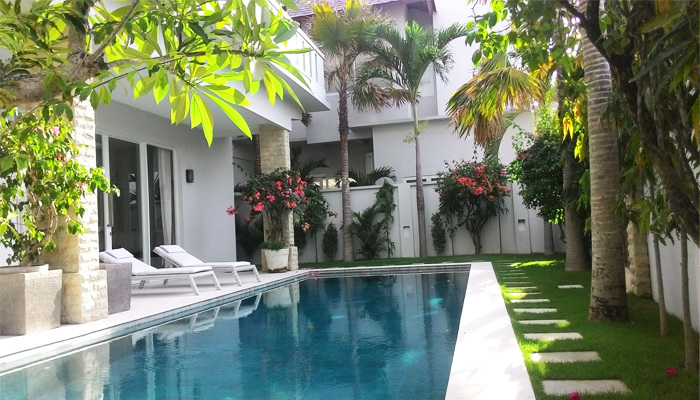 This property has a beautiful entrance, all surrounded by a lush tropical garden. On the other side, you will find a small bridge crossing the river that leads you to another part of the house where the large swimming pool is located. Only 10 minutes from the beach and 20 minutes from Seminyak center, grab this property for your next home on the island of Gods.